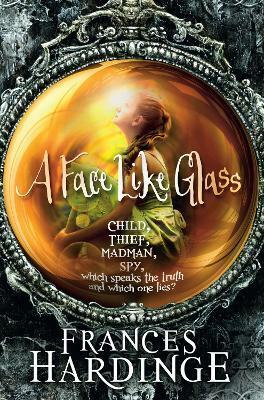 Frances Hardinge spent a large part of her childhood in a huge old house that inspired her to write strange stories from an early age. She read English at Oxford University, then got a job at a software company. However, a few years later a persistent friend finally managed to bully Frances into sending a few chapters of Fly By Night, her first children's novel, to a publisher. Macmillan made her an immediate offer. The book went on to publish to huge critical acclaim and win the Branford Boase First Novel Award. She has since written many highly acclaimed children's novels including, Fly By Night's sequel, Twilight Robbery, as well as the Carnegie shortlisted Cuckoo Song and the Costa Book of the Year winner, The Lie Tree.